Fans of the famous actor Tom Cruise may soon have the chance to glimpse the star in person when he comes to film his new movie in north Cherokee. Some locals even got the chance to meet the famous actor at the Cherokee County Airport when he came for a surprise visit in March to check out the city as a possible filming location. Officials at the city of Ball Ground announced early in April that producers had selected the city to be the main filming location for Mena, a film starring Cruise in the role of Barry Seal, a pilot recruited by the CIA in the 1980s, who ended up in the middle of one the biggest covert operations in the country’s history, according to Variety. The character of Barry Seal trafficked drugs, guns and contraband, and was eventually shot to death by a cartel, according to Deadline Hollywood. The movie is being called Mena, after the town of Mena, Arkansas, where much of the illegal activity happened, Deadline Hollywood wrote. The movie is slated for release in 2016, according to the International Movie Database. Along with Tom Cruise, Mena will star actors Jayma Mays and Sarah Wright in key roles, according to IMDB. According to the local newspaper, the Cherokee Tribune, the crews are aiming to film between April and July. 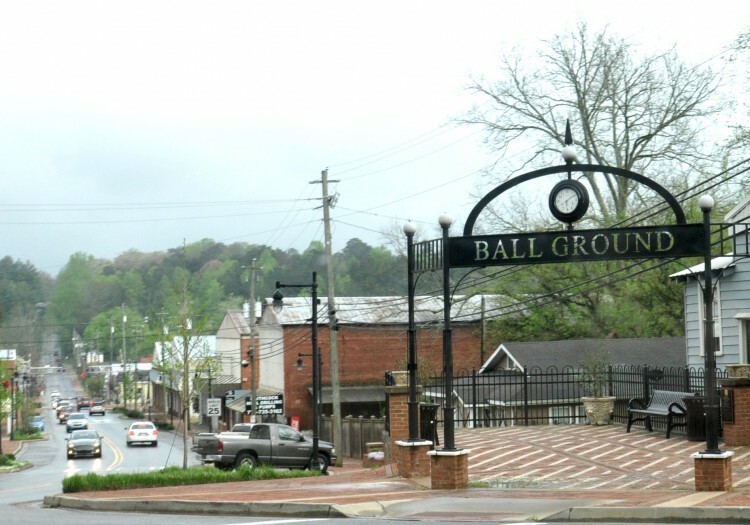 Some of the locations being eyed for various scenes in the movie right now include the Ball Ground City Cemetery, some city-owned property, private properties around the city and in the downtown area, and on/around Highway 372, according to the Cherokee Tribune. Doug Liman, who directed “Edge of Tomorrow” and the Bourne movie trilogy, will also direct Mena. As the northern most city in the metro Atlanta region, it’s a big deal for Ball Ground to be selected for this major motion picture, starring one of the most successful living actors. City Manager Eric Wilmarth said in a weekly newsletter to residents that location scouts were in Ball Ground for weeks looking at their options and making deals with local property owners, before coming to a final decision to film in the city. Cruise has won several Golden Globes and MTV Movie awards, and has been nominated for dozens of others. Most recently, he starred in “Mission Impossible: Rogue Nation,” which is set for release in U.S. theaters in July 2015. Before that, he was in the science-fiction movie Edge of Tomorrow, which came out in June of 2014. With Cruise headed to Ball Ground, Tyler Perry filming for his new movie “The Haves and the Have Nots” in downtown Canton in April, and another movie starring Vin Diesel filming at the Georgia National Cemetery in Canton, Cherokee county has really been on the map for the film industry in 2015.